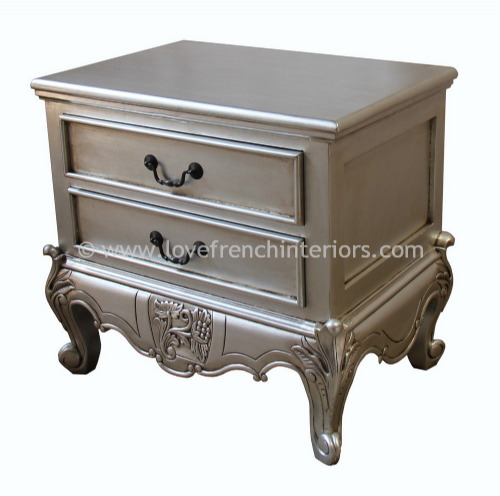 Our matching furniture collections are an easy way to see matching pieces in terms of style and finish colour. 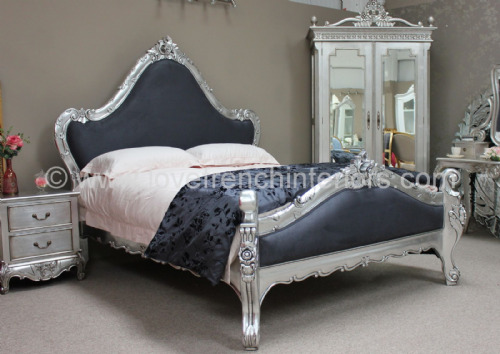 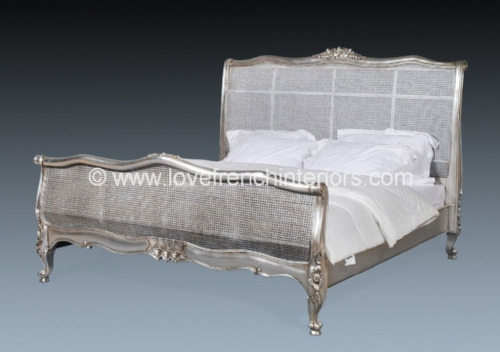 This truly beautiful La Rochelle Silver Collection of bedroom furniture contains pieces that have all been chosen to create a beautiful and stylish bedroom. 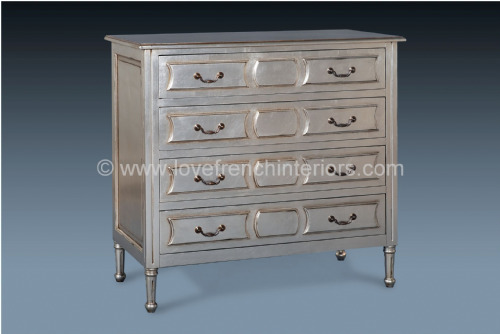 The hand applied standard silver leaf finish is a softened antique silver that gives subtle silver tones without being too bright. 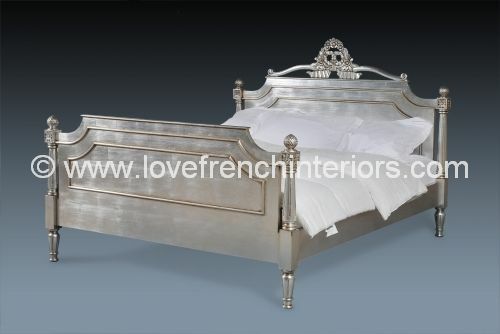 Alternatively we can also offer a bright silver leaf finish that doesn't have any antiquing. 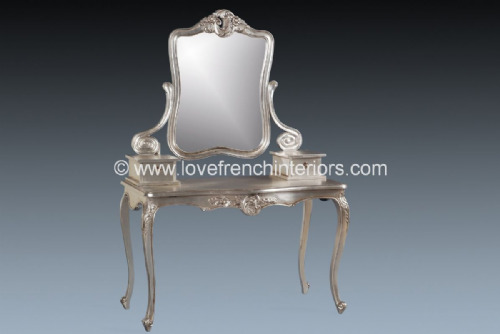 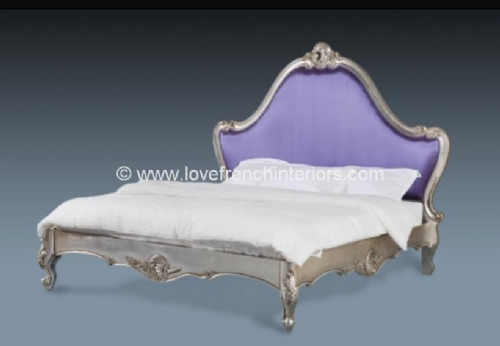 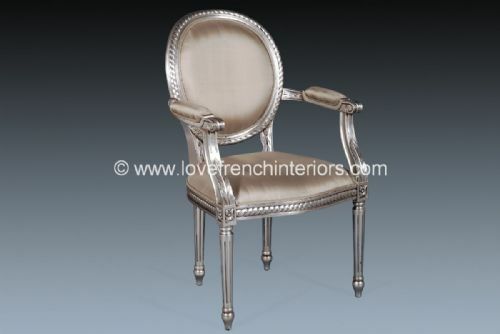 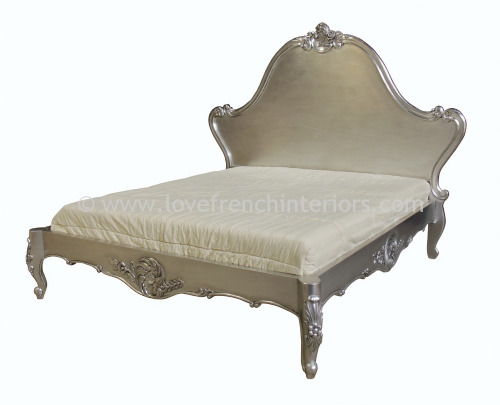 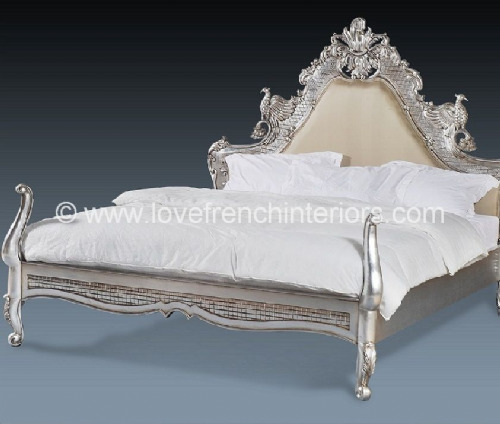 Beneath the silver leaf the furniture is made from hand carved mahogany. 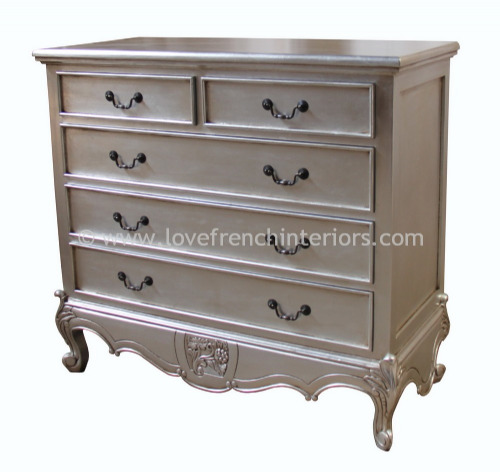 Any of these pieces can also be finished in gold leaf, polished mahogany, antique white, cream, or a painted finish with silver or gold highlights etc. 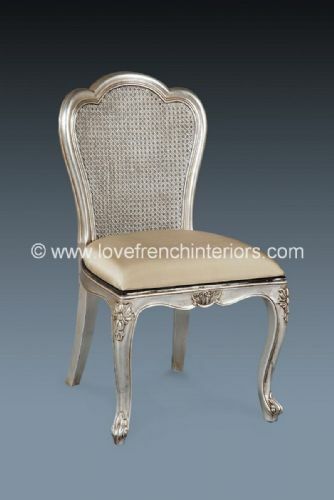 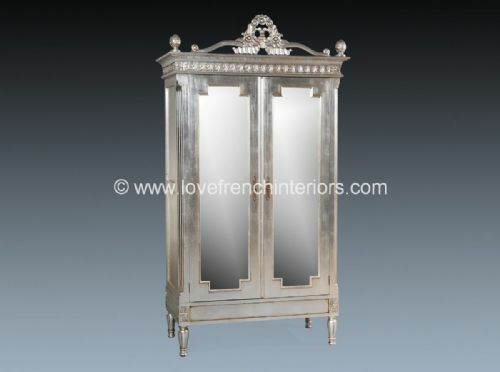 We can offer many different finishes in addition to the silver leaf shown here. 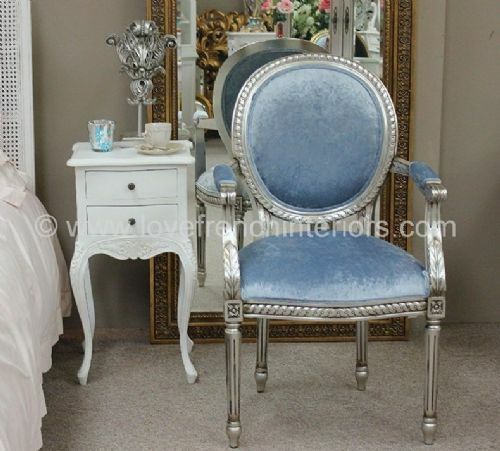 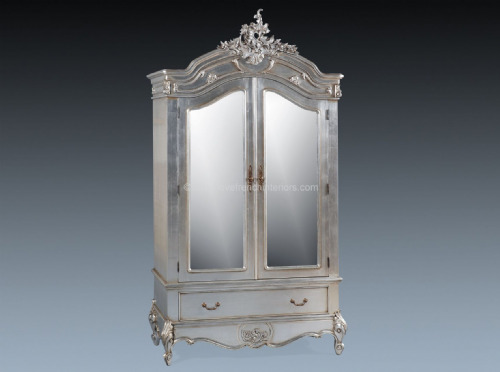 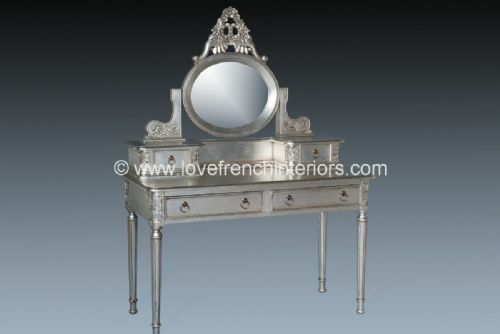 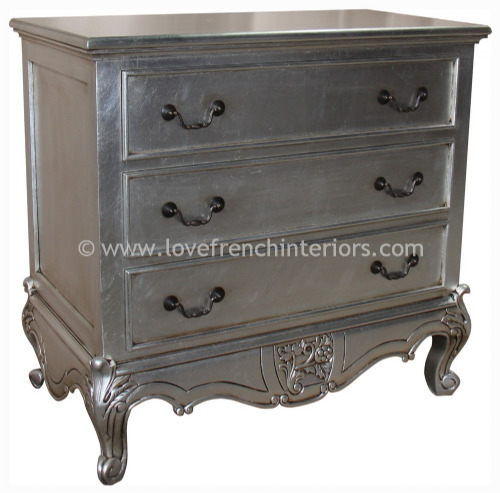 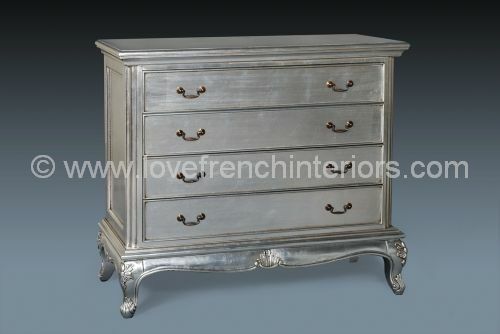 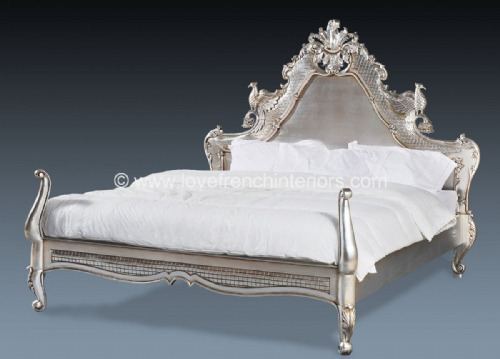 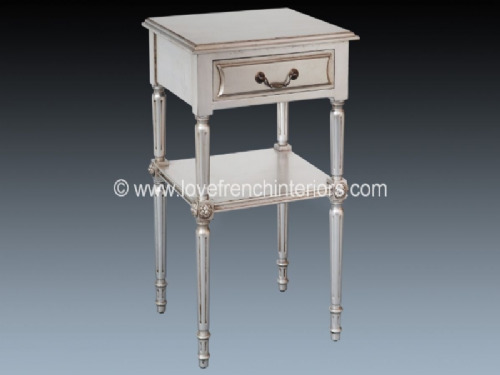 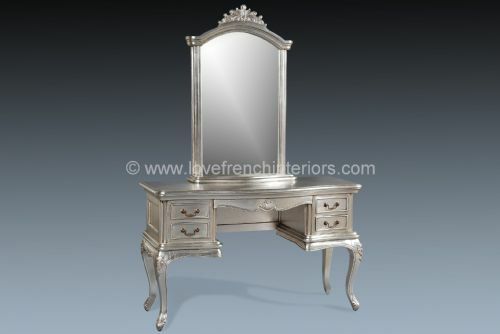 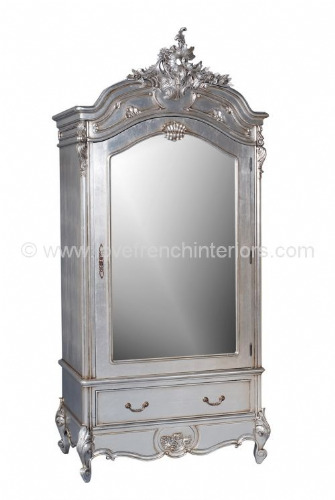 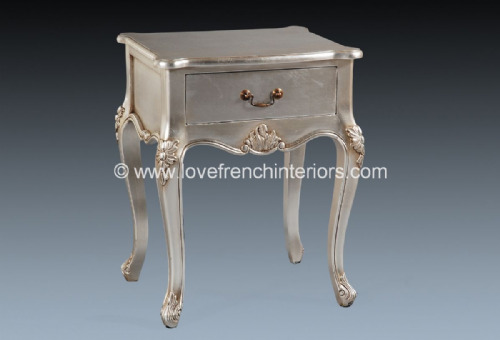 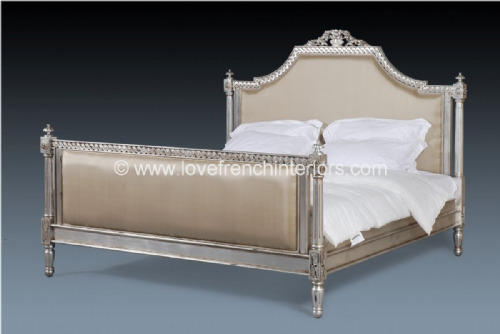 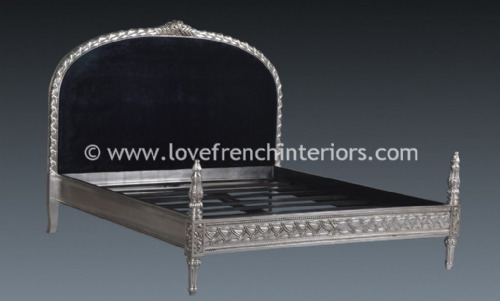 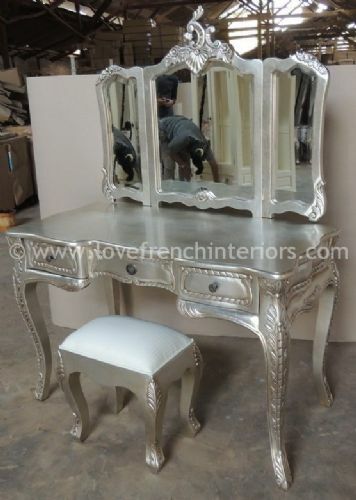 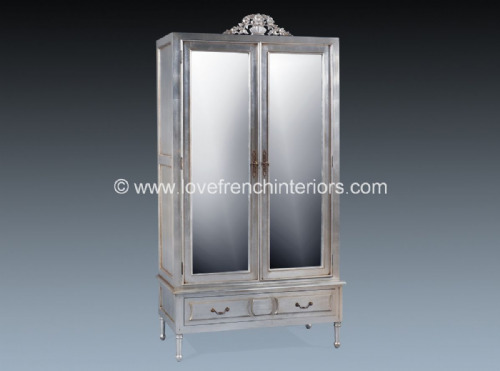 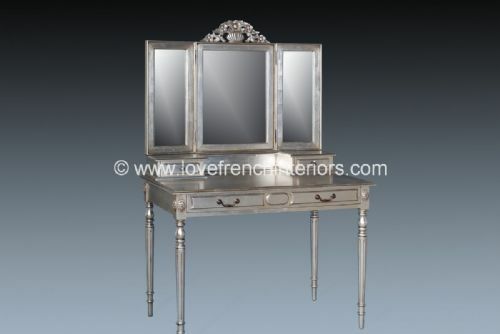 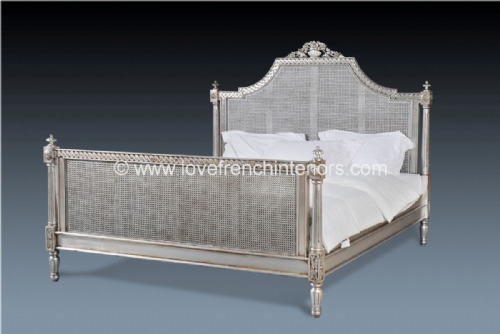 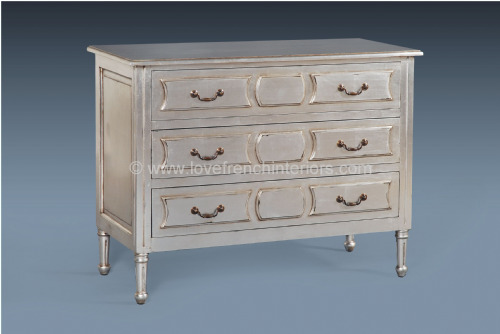 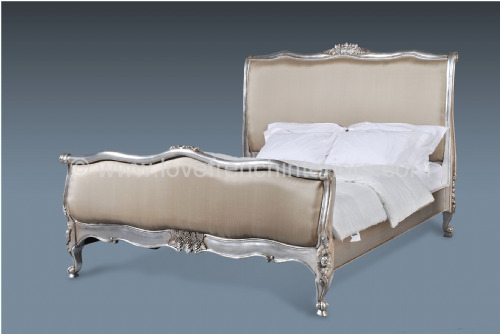 This collection comprises of several styles but all are in the same silver leaf finish allowing the buyer the option of blending different styles to create a unique bedroom.